Naturally wild at heart, Rachel turned her tumultuous teenage years into an unstoppable passion for the culinary arts. Born and raised in East Vancouver, she completed the kitchen training program at the now-closed Picasso Café, and soon after took her apron on the road, working in kitchens as far away as Newfoundland. It was when she returned to Vancouver that she found a kitchen she could call home at Aphrodite’s Organic Café and Pie Shop in Kitsilano. 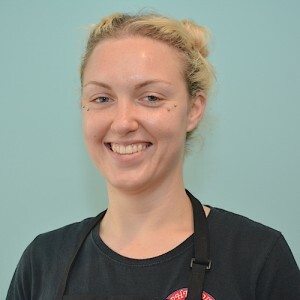 In her eight years at Aphrodite’s, Rachel has gone from working as morning cook, baking bread and muffins, to running the show as the Executive Chef. Rachel is excited to start her next project: bringing her passion and knowledge of food to the youth at BrainBoost! Devoted to the farm-to-table movement, she is an expert at sourcing and preparing local and organic vegetables and meats. Whether you’re gluten-free, lactose-free, vegetarian or vegan,Rachel has a recipe just for you. What ages is it appropriate for? To be eligible for credit for this class, students must be enrolled in an accredited distance learning program. For full details on our cancellation policy, please our Payment & Cancellation Policy page.